TheLeicesterTigers.co.uk - Heineken Cup fixtures? Anyone got any idea yet when the fixtures are to be announced? 2 weeks after Pro 14 fixtures was the mutter so must be any time soon? Arrhhh. That'll be it. Ta. That cheque ain't 'arf taking a long time to clear! Was much easier when all they had to do was walk to the next office with the cheque rather than get it all the way to Switzerland! Edited 1 time(s). Last edit at 15/08/2018 08:17 by Yorkie. I don't know if any of you ever browse the Planet Rugby site and boards, but the Irish contingent in particular are convinced that everything about European rugby is a conspiracy to destroy Ireland, and that they make the quarters of the RWC in spite of everyone's efforts to thwart them. I lurk on Planet Rugby, its mental how some people see the game. 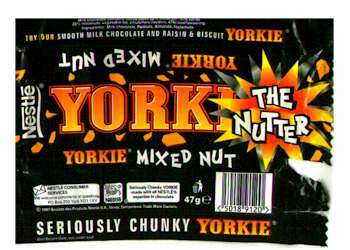 Do not forget the lunch Yorkie, who's credit can is used these days? Apparently this Friday at mid-day, rounds 1-6. What odds Leinster and Munster get home matches as their last games or at very least fixtures againstthe perceived weakest team? Won't be much profit in it Mike. Well they were there until they disappeared before my eyes!! Last weekend (round 6) down as Saturady Jan 29th so mistake there. We've got Ulster at home, kick off at 3.15pm. Munster at home to Exeter. See what happens when it reappears. Us at home on a Saturday around 3.00pm must be wrong!! Must be some mistake ! Blimey. Only two horrible ko's. What's going on? That actually looks somewhat favourable from a fan's perspective - one of the late games is at home and the other two are at least on a Saturday, and both are weekend trips anyway IMO. The away game at Racing isn't timed well however; silver lining of the Chunnel? Sunday at 1pm, my least favourite kick off time probably. There is no really "good" order of fixtures as all these teams are pretty much better than us but I suppose I'd have preferred Scarlets in the double header as they might be suffering from their commitments to Team Wales in December. No clashes with LCFC, not even for away games with home games etc.